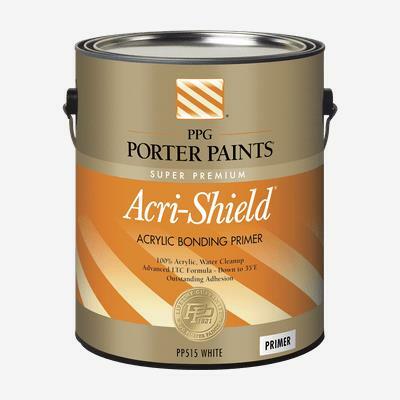 ACRI-SHIELD Exterior Acrylic Bonding Primer is a unique, exterior, oil modified, acrylic primer for bare wood and old, chalky paint surfaces. It is used for all types of new or previously painted commercial, institutional, and residential exterior wood surfaces such as siding, trim, eaves, facias, shutters, fences, etc. It can be used over both latex and alkyd paints (it is ideal for bridging from old oil paint systems to acrylics), and can be used over tannin containing woods which will stain through other water based primers. Apply at temperatures 35ºF to 100ºF.